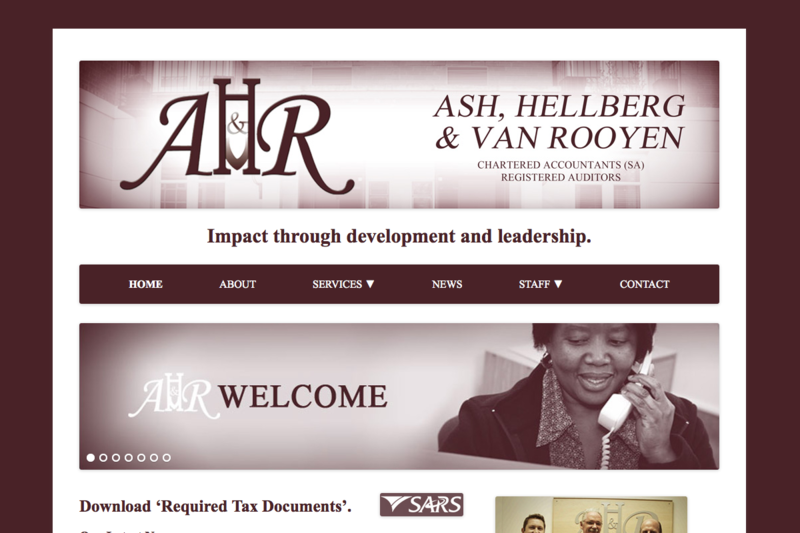 Ash, Hellberg & van Rooyen are a leading chartered accountancy firm that provides auditing, accounting, taxation, estate planning, management, financial services and training. This brochure website is powered by the WordPress CMS. Julie Patrick did all of the photography and graphics for this website. The staff of AHvR have the ability to update their news, services and staff easily and quickly using the CMS.